If you wish to expand your business and start texting your customers (transactional and/or marketing messages), you can now do so with Ozcart using SMSBump. You can even schedule messages and have your own dedicated phone number with SMSBump. After registering in Ozcart, you can also manage your account on their website. To activate and use SMSBump, navigate to Design > Blocks > SMSBump. All you have to do is provide your e-mail, country, and phone number. You would then receive a text message with a code to activate your account in Ozcart. We have integrated Square with Ozcart and you can now use your Square account and POS and make them work with Ozcart. If you do want to use Square, let us know as it works by us adding a server cron job for you. You can load Square in Ozcart to find out more and read the documentation. Navigate to Design > Blocks > Edit Order Status Colour. Here you can manage all the status colours and text colour that appear in Orders > View Orders. You can also do so from Store Settings > Statuses > Order Statuses but you don’t get to control the behaviour (which is the design of the colour status), nor the text colour. Complete fix. Functions now work as intended and there are more options and a lot more awesome effects. Remember that we also offer a much more advanced slideshow builder where you can set text and image animation to individual layers to build any slideshow you want. That can be found in Design > Blocks > Layer Sliders. To edit responsive banners, navigate to Design > Blocks > Responsive Banners, expand the Show All Responsive Banners Blocks and edit your current one or create new ones. Register for an account at https://tawk.to/ and then activate it in Design > Blocks to use it. 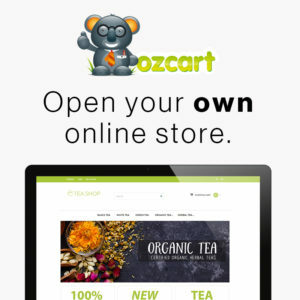 This gives your customers the ability to freely live chat with you in your own Ozcart store. Enables your visitors to live chat and call you. Set it up in Design > Blocks. Then, add it in Design > Theme Settings > Layouts Builder. Add your Facebook page as a widget. Set it up in Design > Blocks. Then, add it in Design > Theme Settings > Layouts Builder. – Default Items Per Page: How many products, categories, etc., should show up as default when your customers are browsing those pages. – List View Description Limit: You can specify the number of characters the description will have in list view (in the storefront). New Front-end Search Settings: Set up and extend your search settings in Design > Blocks > Search Settings. – Products/categories now show the full category path in the breadcrumb. – Product options/variants now show the number of stock left. We’ll be adding an “enable/disable” option for this soon. – You can now clear filters for Products, Orders, Recurring Orders, and RMA lists. Set your correct location in Design > Theme Settings > Pages > Contact under ‘Place Autocomplete Address’. Enter your location. To set-up auto-complete, you have to enter billing details with Google, which is not necessary but it seems like Google may charge for this service now. Either way, enter an address manually, which is free, and you’ll see your address on the red pin in your contact page, if you have the map enabled.